Gamers who pre-registered for OnLive should keep an eye on their email for news about an even better sign-up deal than the one they were promised. OnLive, as you should all know by now, is a "cloud gaming" service that promises to deliver high-end gaming on low-end hardware by handling the computational heavy lifting at remote servers and streaming the results back to virtually any PC or laptop. Whether or not it will work has been a matter of considerable speculation, as the beta test was closed and performed in a fairly tightly-controlled environment, so to help churn up interest and users, the company promised a free three-month trial period to the first 25,000 people who pre-registered. Now OnLive has sweetened the pot with an even better deal for those who took the plunge early. Instead of just three months, those who signed up early will have their service fees waived for a full year and will also be sent a coupon for a free game. Even better, there's no obligation to renew the service after the free year is up. The downside is that the deal is closed, so if you aren't already among the chosen few, it's too late to take advantage - which leaves me a little curious about why OnLive is bothering to improve the offer in the first place. On the other hand, this pretty much guarantees that many thousands of people will be hammering the system when it launches, either assuaging or confirming fears about the reliability of its service and helping all of us latecomers decide whether or not to lay down our money. 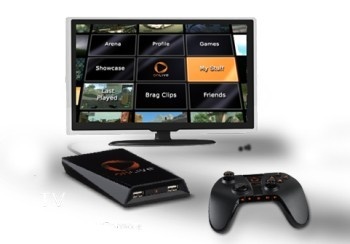 OnLive is scheduled to go live on June 17, near the end of E3.